Our studios apartments are between 19m2 and 20m2 and are available from 105€ per night. 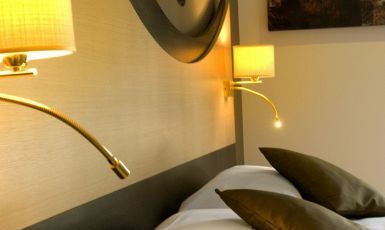 If you prefer to be independent, the Bastides du Gapeau propose the welcome and calm of a hotel, combined with the conviviality of a holiday residence. Make the most of our studios to explore our beautiful region, wether you are travelling as a couple or a family, for a weekend or your annual holiday. Spend your holidays in Provence in the heart of the countryside, under the Mediterranean sun. Discover the beauty of the Mediterranean beaches, the light, the colours and the heat. Cast off to the Iles du Levant or go for a walk in the inland areas of the Var, full of Provencal aromas! 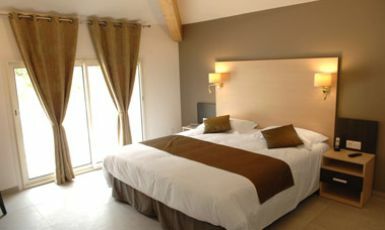 Would you like to make the most of our excellent value for money studios during your stay in the Var? 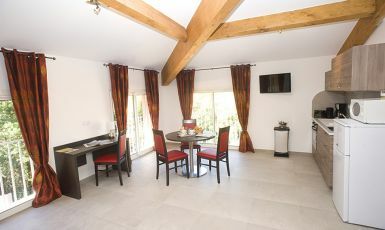 Our booking system will give you the real time availability of our studios with or without a terrace.